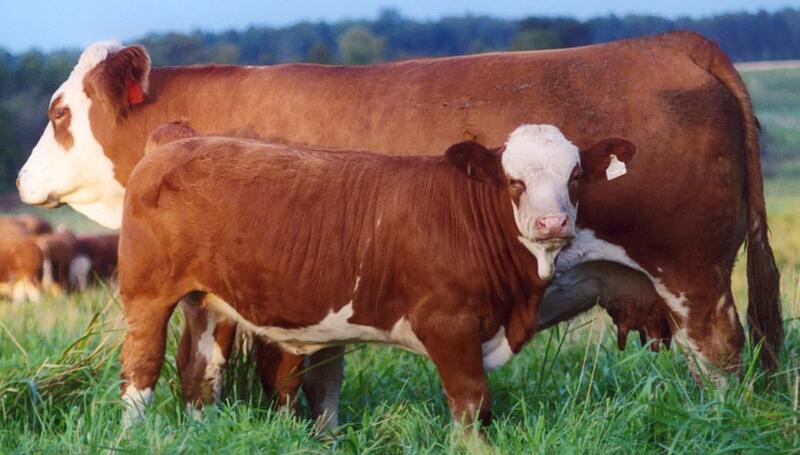 Since 1973, we’ve been developing Simmental Genetics in the heart of Ontario’s cattle country. 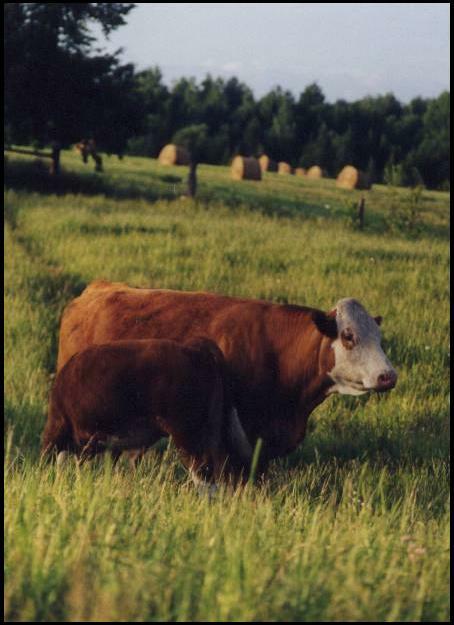 Situated at the source of Ontario’s Maitland River, our farm contains an abundance of grasslands, perfectly suited for the natural grazing of cattle. It is under these conditions that we select our genetics, focusing on low maintainance, feed efficient cattle, an idea that is verified by the ability of a cow to go out to pasture, and produce a heavy calf while maintaining her condition. From May until November, our cattle are on grass, after which they are only offered free choice hay and mineral—our idea of creating low maintenance, high performance cattle that will excel under any conditions. Likewise, we believe in keeping our entire herd working—we only rarely use embryo transplanting, timing its use to ensure the donors can still have an annual calf. This ensures all of our genetics have to keep on proving themselves, and that visitors to our herd see our cattle in true pasture condition while nursing their calf.